Since 1987, insurance companies, employers, government and private entities, and licensed professionals have relied on Midkiff, Muncie & Ross, P.C., for our knowledge of the law and aggressive representation in court. Whether the issue is workers’ compensation, liability insurance coverage, cost containment, professional malpractice or complex business or civil litigation, we have the necessary experience to assist our clients with all of their legal needs. We practice arbitration and mediation when appropriate, and litigate in state, federal, and appellate courts. At Midkiff, Muncie & Ross, P.C., we concentrate our practice on the defense of insurance companies, businesses, self-insured entities, and individual professionals facing litigation. We assist in risk management counseling to avoid litigation before it occurs. 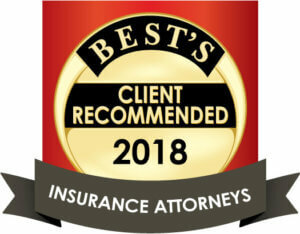 As our firm has grown over the past 30 years, our reputation for successful results has become well-known throughout the business and insurance communities. Our attorneys have specific legal knowledge and experience in workers’ compensation, liability, first and third-party coverage, property, subrogation, and construction law. Matters include arson, automotive, bad faith, black lung, flood, fraud, personal injury, premises liability, and product defects. Our expansive industry experience ranges from retail and manufacturing to the service sectors. Midkiff, Muncie & Ross attorneys are recognized by legal peers as top advisors and litigators in their respective areas of law. As partners with the insurance community, ourattorneys are frequent speakers and authors on insurance law topics and legislative updates.